Candyman. The "Candyman" achtergrond with Tony Todd was created door TheCountess. 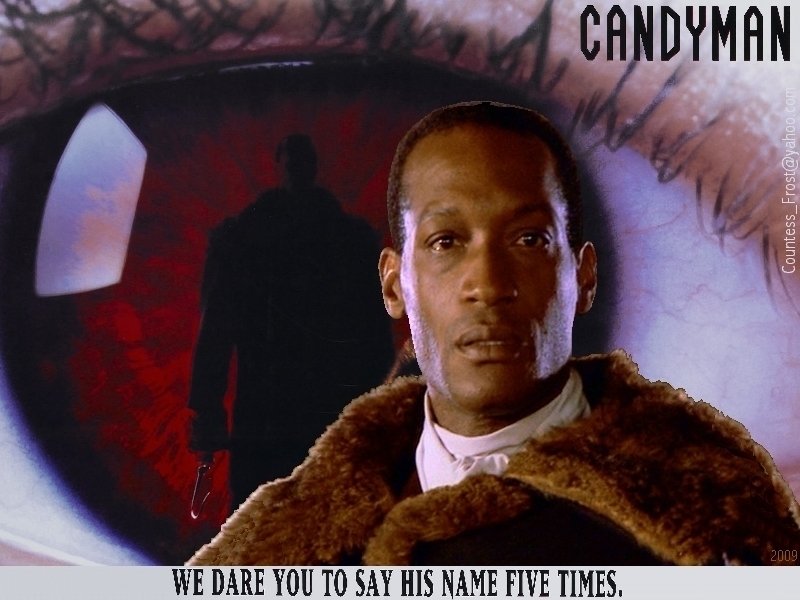 Why not check out the Candyman spot too? It's at. HD Wallpaper and background images in the Horror films club tagged: candyman tony todd clive barker horror movie urban legends fan art wallpaper thecountess. R.I.P Puppetmaster111 LOL! But serieusly that is a very good movie!!!! It's been ages since I've watched it, but I remember that I really enjoyed it. After watching it, I was glad that my bathroom mirror wasn't the same, but even if it would've been, it faces an outside wall - not another apartment. LOL!